The Amway Japan Foundation (Shibuya-ku, Tokyo, Representative Director Kafuu Toh, hereinafter referred as the Amway Japan Foundation) and the U.S.-Japan Council TOMODACHI Initiative (Chiyoda-ku, Tokyo, Representative Director and President Irene Hirano Inouye, hereinafter referred as TOMODACHI), announced the establishment of the “TOMODACHI Amway Japan Foundation Tohoku Future Leader Program”. The announcement was made during the U.S.-Japan Council Annual Conference held between November 8th (Thurs) and 9th (Friday), attended by distinguished guests including U.S. 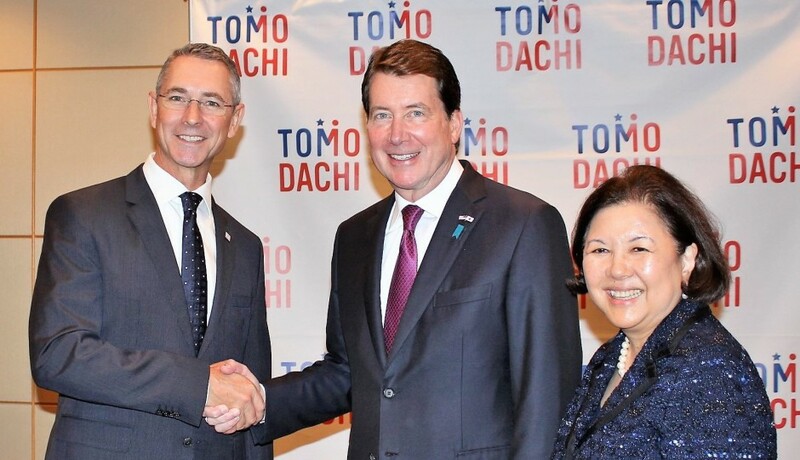 Ambassador to Japan William F. Hagerty and government and business leaders central to the U.S.-Japan relationship. The “TOMODACHI Amway Japan Foundation Tohoku Future Leader Program” is designed to emphasize the local charms of Tohoku and is a part of the Amway Japan Foundation’s Tohoku reconstruction project “Remember HOPE.” It will be offered for three years from 2019 to 2021. In its inaugural year, 2019, the program will support high school students residing in the town of Minami Sanriku in Miyagi Prefecture, where “Remember HOPE” has already been providing aid. The program participants will travel to the United States during an upcoming spring break in 2019 and will learn about the best practices of regional approaches for inbound tourism in the United States. The participants will then utilize their learning in the United States to revitalize their town further, based on a theme chosen by Minami Sanriku officials relating to tourism and the town’s resources. Amway Japan G.K. started Remember HOPE in 2012 as a social contribution program supporting the rebuilding of the bonds of community in areas impacted by March 2011 Great East Japan Earthquake. In 2013, the company established the Amway Japan One by One Foundation (renamed the Amway Japan Foundation in 2016 ) to ensure the transparency and sustainability of its activities. The Foundation continues creating places and opportunities for local people to gather in the three disaster-stricken prefectures (Iwate, Miyagi, and Fukushima). Remember HOPE will open its 5th Amway Community House, designed by world-famous architect Kengo Kuma, in Rikuzentakata, Iwate, in 2019.